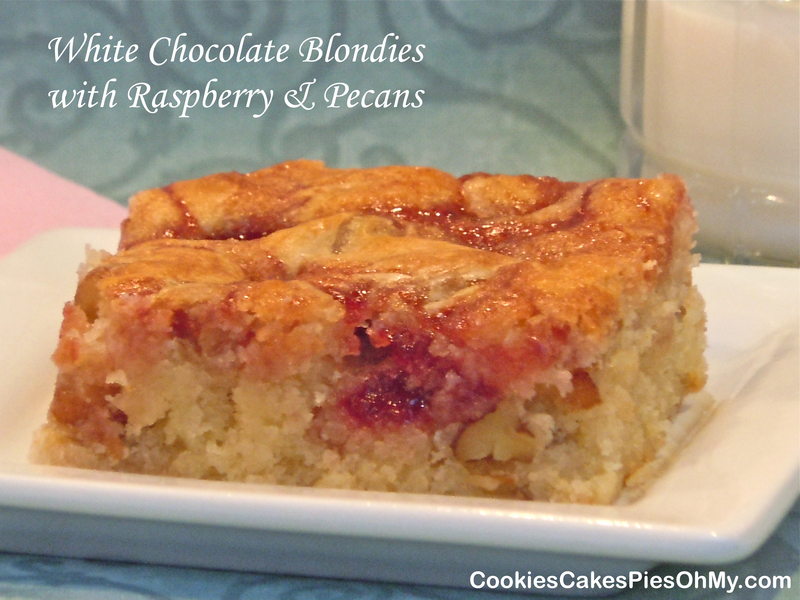 An excellent addition to your dessert table. Or, just make it and stand in the kitchen and eat it! Line a cookie sheet with foil. In a double boiler, slowly melt semi sweet chocolate chips, milk chocolate chips, butter and oil. Stir and heat just until melted and smooth. Remove from heat. Let cool to tepid. Stir in nuts, rice cereal, and white chocolate chips. Spread into even layer of desired thickness in prepared pan, recipe will not fill the pan. 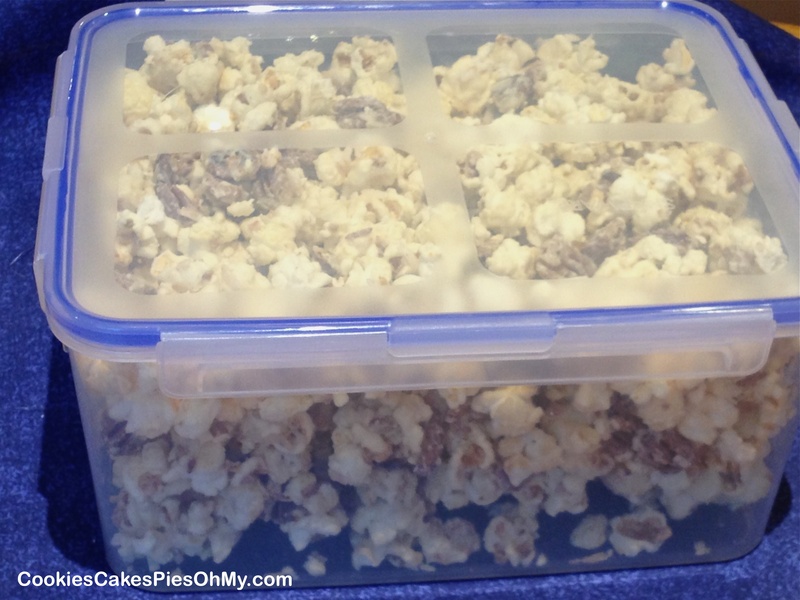 Refrigerate for 20-30 minutes or until set. Break or cut into desired pieces. 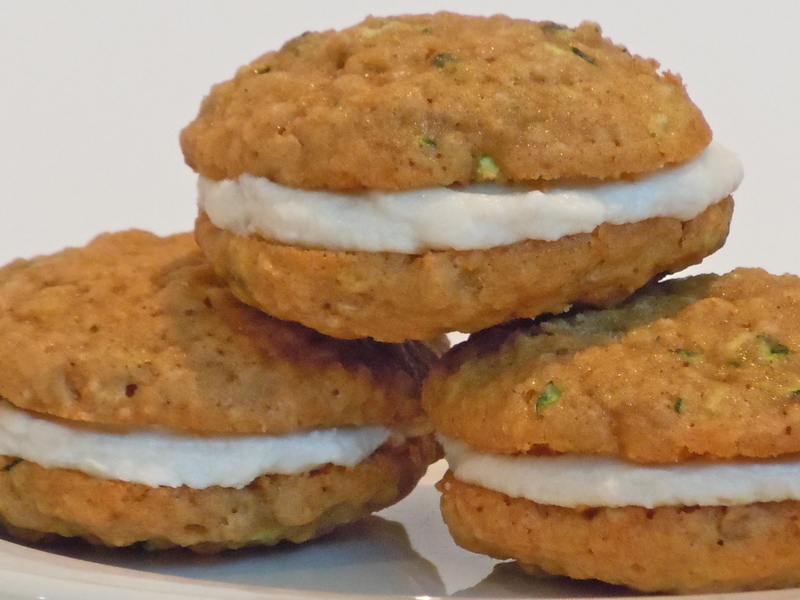 The original recipe comes from picky-palate.com, her recipe for How to make Perfect M and M Cookies. I have made this recipe quite a few times in the past few months, I just switch up the flavor instant pudding I use and the types of chips, nuts, etc. to change up the taste. Pictured here, I made one cookie with coconut pudding, white chocolate chips, coconut, and macadamia nuts. The other uses chocolate pudding, dark chocolate cocoa, dark chocolate chips, and cinnamon chips. Infinite combinations, I can’t wait to try more! Preheat oven to 350°. Line baking sheet with silpat or parchment paper. Cream butter, sugar, and brown sugar until well combined. Add egg and vanilla, mix to combine. Add flour, pudding mix, baking soda and salt, stir to combine. 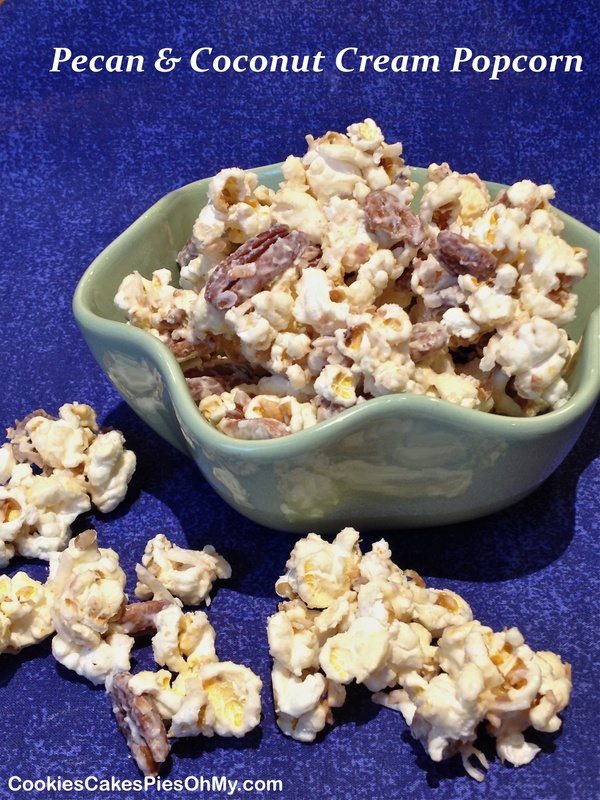 Stir in chips, coconut, and nuts. With medium cookie scoop, place dough 1″ apart from each other on prepared baking sheet. Press each scoop of dough down slightly. Bake 10-12 minutes, do not over bake. Let cool on cookie sheet for 10 minutes before transferring to cooling rack. Preheat oven to 350°. Line baking sheet with silpat or parchment paper. Cream butter, sugar, and brown sugar until well combined. Add egg and vanilla, mix to combine. Add flour, cocoa, pudding mix, baking soda and salt, stir to combine. Stir in cinnamon chips and chocolate chips. 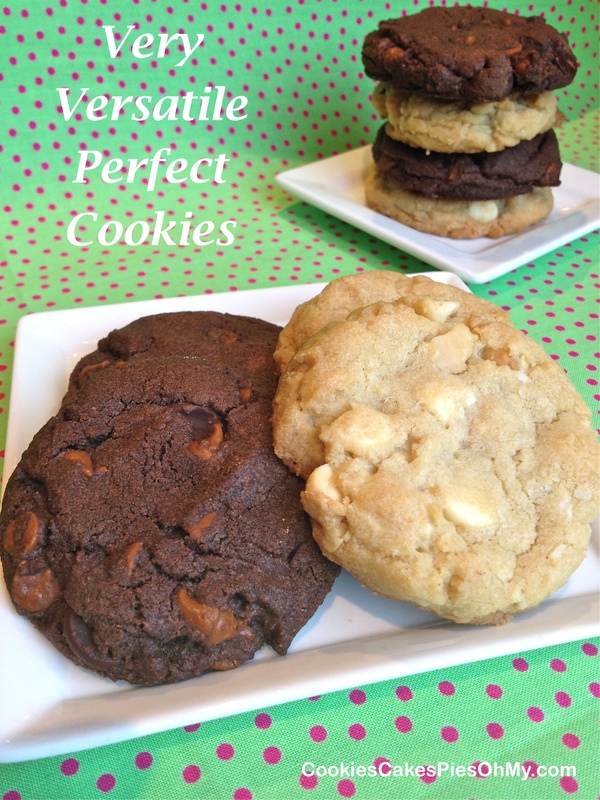 With medium cookie scoop, place dough 1″ apart from each other on prepared baking sheet. Press each scoop of dough down slightly. Bake 10-12 minutes, do not over bake. Let cool on cookie sheet for 10 minutes before transferring to cooling rack. It’s cookie time! These are intensely chocolate, a recipe from foodnetwork.com. Preheat oven to 350°. Line baking sheets with silpat or parchment paper and set aside. Place bittersweet and unsweetened chocolate and espresso powder in medium bowl and place over double boiler and melt, whisking occasionally, until smooth. Sift together flour, baking powder and salt in small bowl, and set aside. In large bowl with electric mixer, beat butter, sugar and brown sugar. Add eggs, one at a time, then the vanilla, and beat on high speed for 1 minute. On low speed beat in melted chocolate mixture until just combined. Fold in flour mixture until just combined. 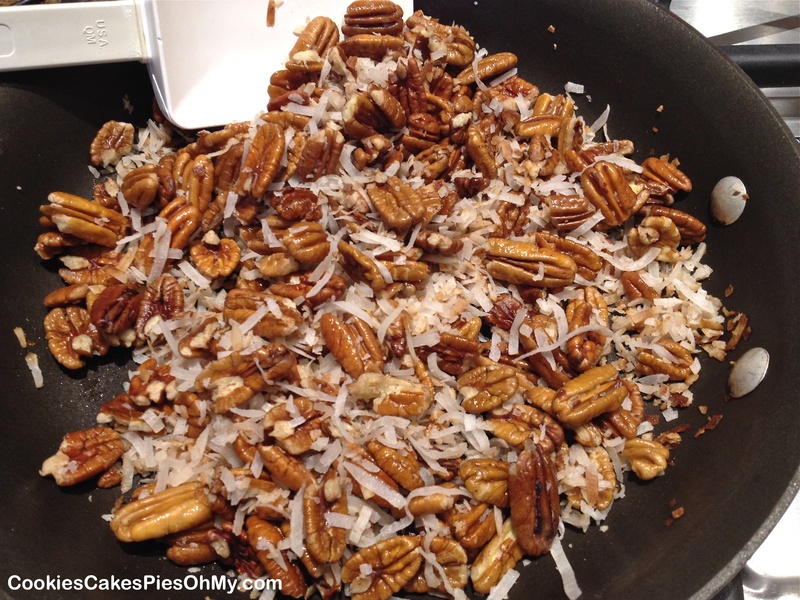 Stir in pecans and chips. The batter will be soft. Cover and refrigerate until firm, at least 30 minutes. Using small scoop (about 1” diameter), scoop batter onto prepared baking sheets. Bake for 8 to 10 minutes. Cool on baking sheets for 2 minutes, then remove to rack to cool 5 minutes longer. Preheat oven to 350°. Line a 12 cup cupcake pan with paper liners. In large bowl with electric mixer, cream butter and sugar. Add eggs and vanilla and mix well. 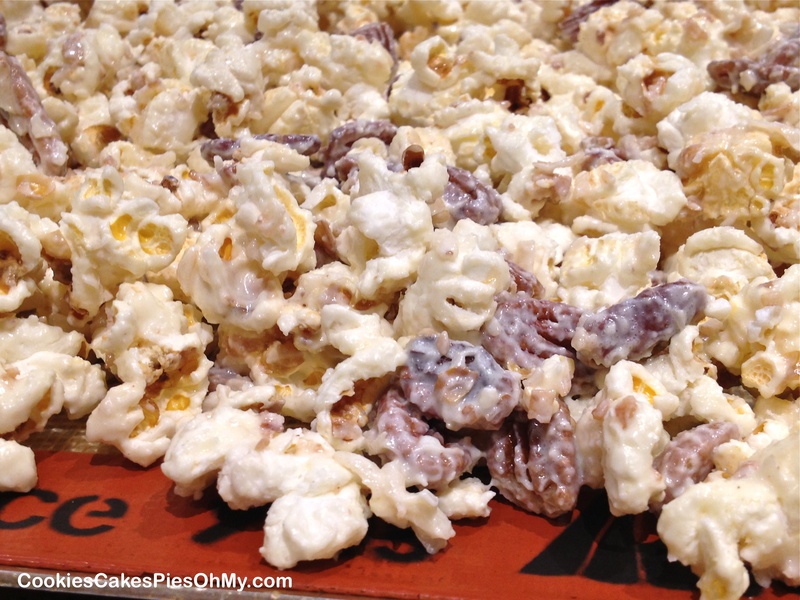 Combine flour, baking powder, and salt, add to creamed mixture alternately with buttermilk, mixing until batter is smooth. Divide batter in half, putting half in another bowl (should be about 2 cups in each bowl). Using food coloring, make batter in one bowl yellow and the other orange. Divide yellow batter evenly among the 12 cups (about 2 heaping Tbl per cup), tap pan to level batter. Divide orange batter evenly among the 12 cups, gently spooning on top of yellow batter (again, about 2 heaping Tbl each cup). Bake for 20-22 minutes, until center is set. Cool completely before frosting. 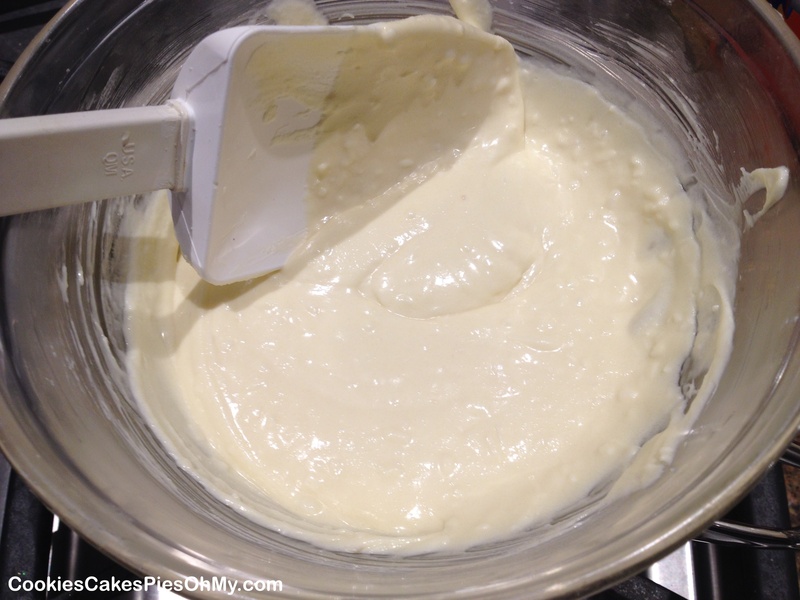 Whip butter and white chocolate together with electric mixer. Add powdered sugar and milk and whip to desired frosting consistency. 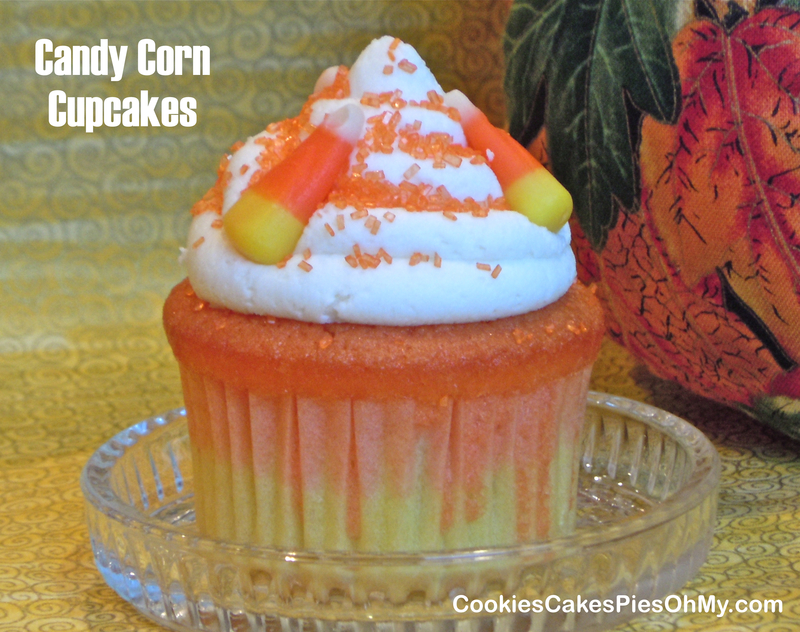 Frost completely cooled cupcakes and decorate with sprinkles and candy corn. 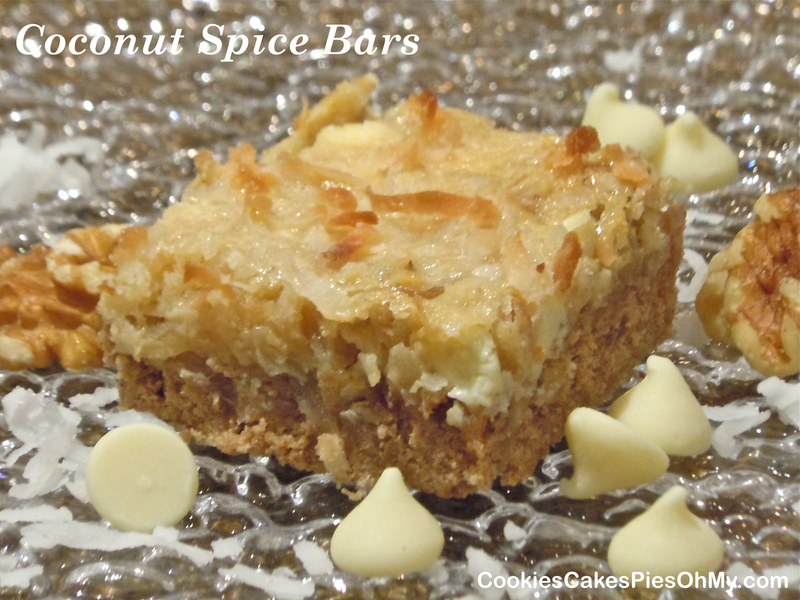 A spice cake mix makes a cinnamon spice shortbread crust with coconut, white chocolate chips, and walnuts in a creamy layer on top. Tastes like fall time to me! Preheat oven to 350°. 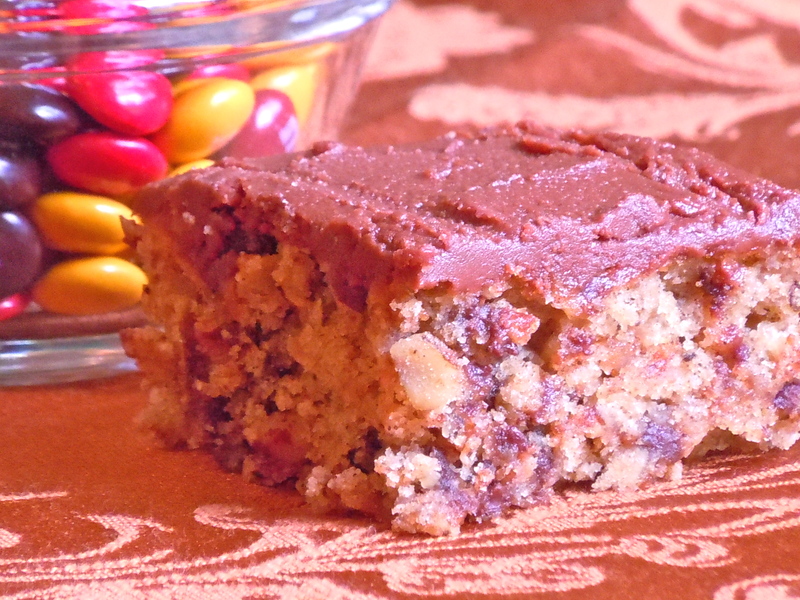 Mix cake mix, butter, and egg until well combined and crumbly. Press into sprayed 9″x13″ baking pan. 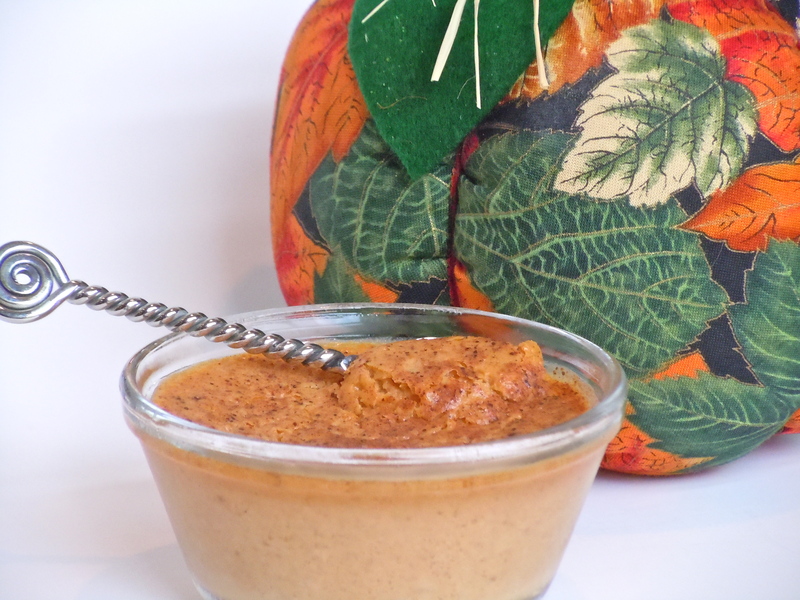 Mix together sweetened condensed milk, vanilla, and egg, beat until well combined. Stir in 1 cup coconut, walnuts, and white chocolate chips, pour over crust mixture in baking pan. Sprinkle remaining 1/2 cup coconut evenly over topping. Bake for 30-40 minutes, until golden brown and center is set. Cool completely and cut into bars. This is an incredible bread recipe. My husband and I really wanted to eat the whole loaf, but we were too full from dinner. We have it to look forward to for breakfast! 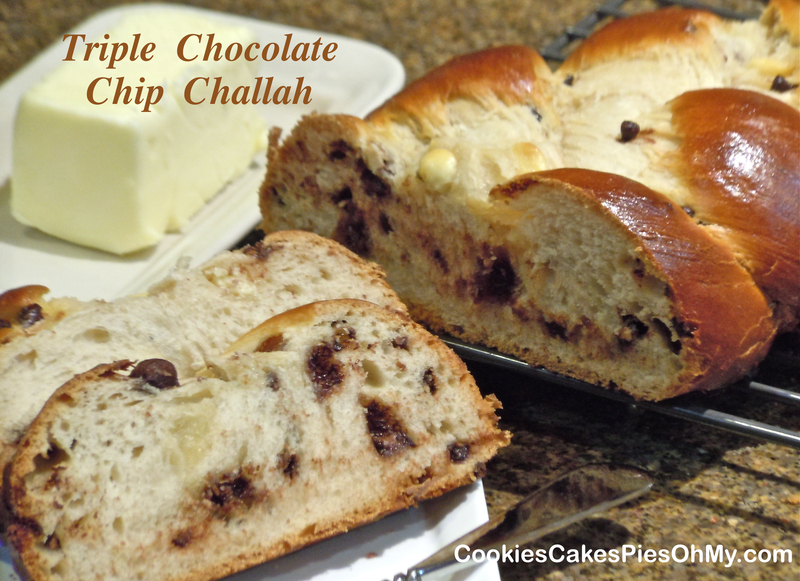 If you love bread and you love chocolate, try it! Adapted from girlversusdough.com. In large bowl of mixer, pour warm water, sprinkle yeast, then sprinkle sugar over yeast. Let sit for 5 minutes. Add oil, egg (minus about 1 Tbl) mix well. Add flour and salt, knead. 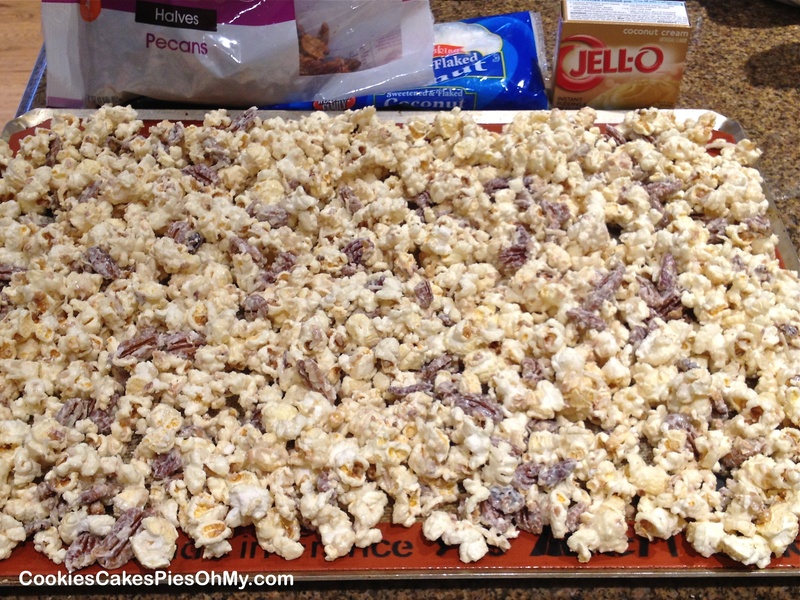 Mix in semisweet, white, and milk chocolate chips. Turn out into greased bowl and let rise one hour. Divide dough into three equal pieces and shape into long ropes all same length. Lay three ropes on silpat lined tray or sprayed baking sheet. Braid to make one loaf, pinch ends to seal. Let rise 30 minutes, gently brush with reserved egg. Bake in 375° oven for 30-35 minutes. I seem to be into bars and brownies right now…and why not. Preheat oven to 350°. Spray 9”x9” baking pan with non-stick spray. 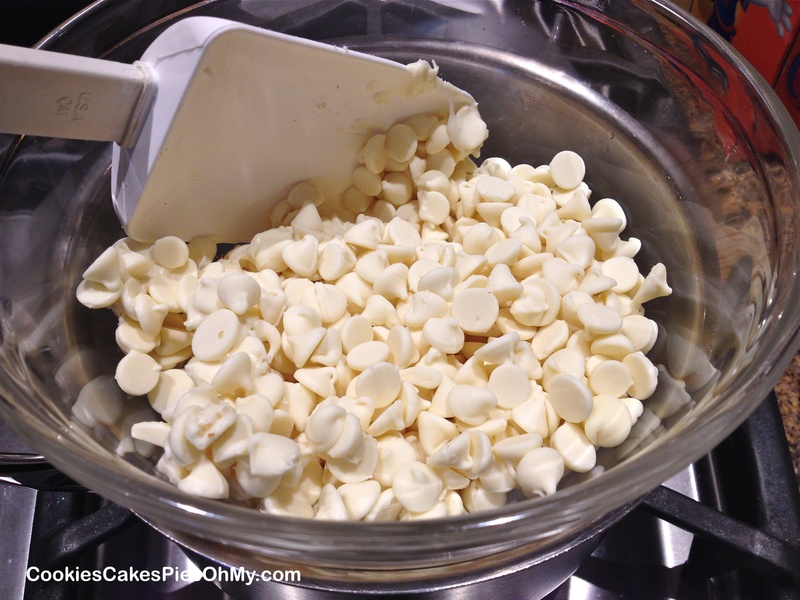 Melt butter and 1 cup white chocolate chips slowly in microwave, stir and let cool a few minutes. In large bowl, mixing by hand, stir together white chocolate mixture and sugar. Stir in beaten eggs, vanilla, and almond extract. Stir in flour, baking powder, and salt just until combined. 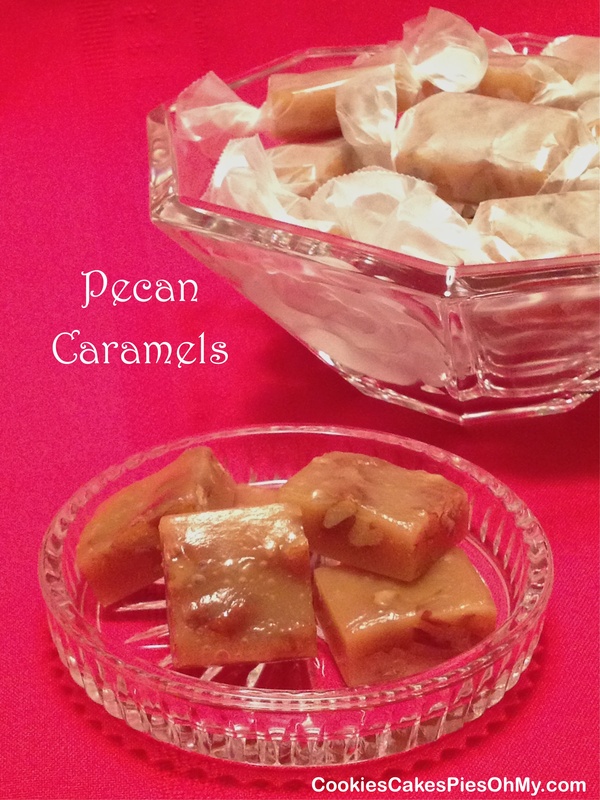 Fold in pecans and remaining white chocolate chips. Spread batter in prepared pan. Drop little spoonfuls of raspberry preserves all over batter and use a knife to swirl gently into batter. Bake 20 minutes until golden and center is set. 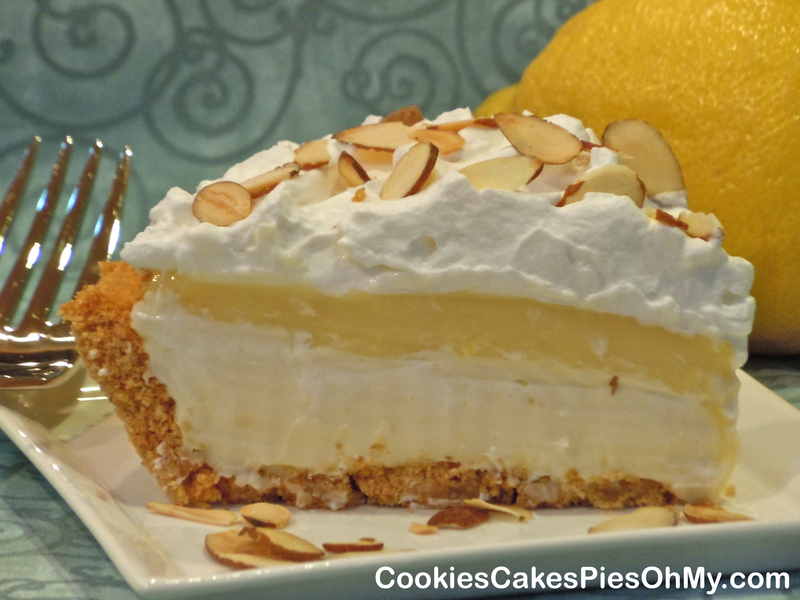 If you love pie, if you love lemon, and if you love cheesecake, you need to make this pie. There are many versions of this pie on the web, the one I used (adapted just bit) is from doublebatch.wordpress.com, incredible! 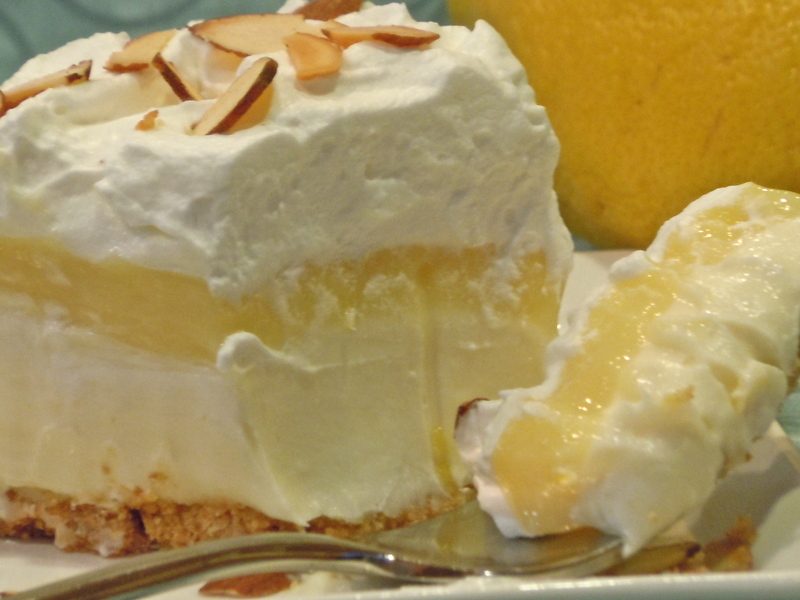 This is lemony, creamy, happiness on a fork! Whisk cornstarch and the 1/3 cup sugar in medium saucepan, whisk in cold water. Stir in lemon juice and lemon zest. In a separate bowl beat egg yolks with a fork, add the 1/4 cup sugar and mix well. Add egg yolk mixture to the lemon mixture and whisk together. Cook on medium heat, stirring constantly until mixture boils for one minute. Remove from head and stir in butter and vanilla. 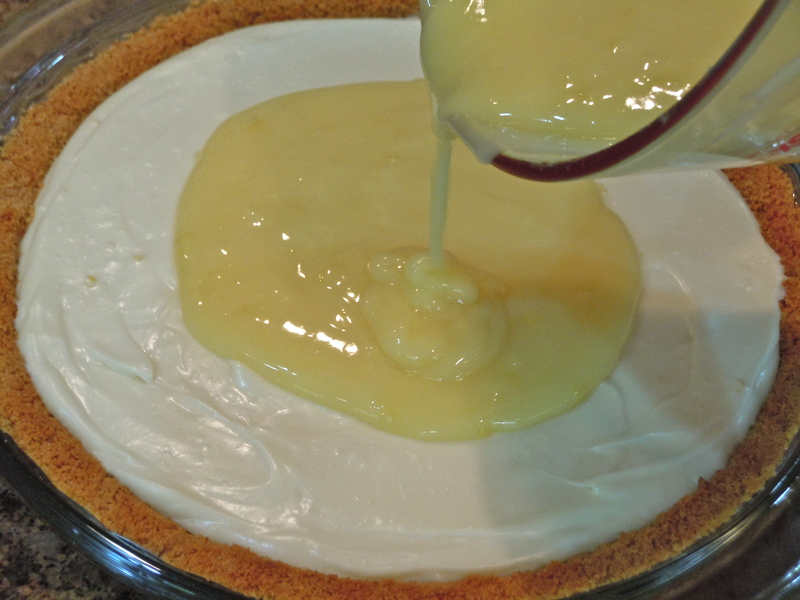 Remove 1½ cups of lemon pudding and reserve for top layer. Add while chocolate chips to mixture left in saucepan and stir until they are melted. Cut cream cheese in cubes and add to saucepan. Beat until well mixed and smooth. 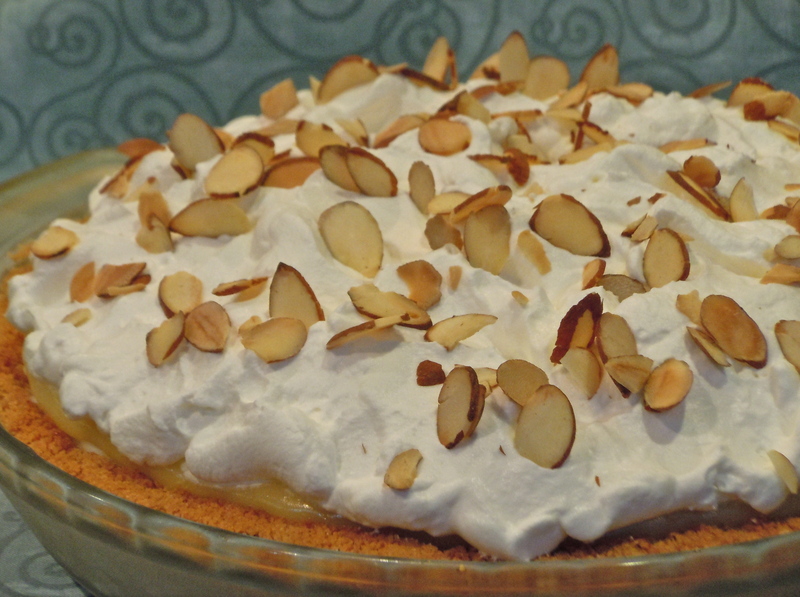 Pour mixture into pie shell or graham cracker crust. Pour reserved lemon pudding on top and chill at least 2 hours. Whip cream to stiff peaks thick, add powdered sugar to taste and vanilla. Spread whipped cream over top of pie. Garnish with toasted sliced almonds. Keep leftovers in refrigerator. Mix and press into 9″ pie plate and bake in 375° oven for 8 minutes.